Inclusions: AIARE Level 1 Course Manual, AIARE Field Book, AIARE Level 1 certificate upon successful completion of course. 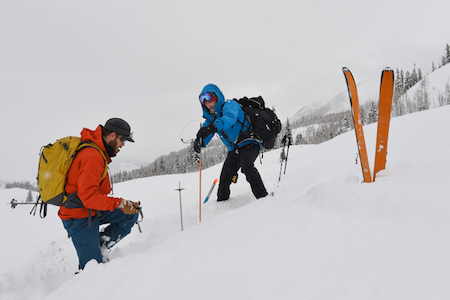 After successful completion of the AIARE Level 1 Rec Course students can further their education with AIARE Avalanche Rescue Course and AIARE Level 2 Rec Course. *Avalanche safety gear and backcountry touring set-ups and be rented for an additional fee. Participants should have some previous experience backcountry skiing/riding and be familiar with how to use their touring gear.